Mercedes Benz Actros MPIII broken (3 colours). Man Bus broken (3 skins). American truck broken (3 colours). 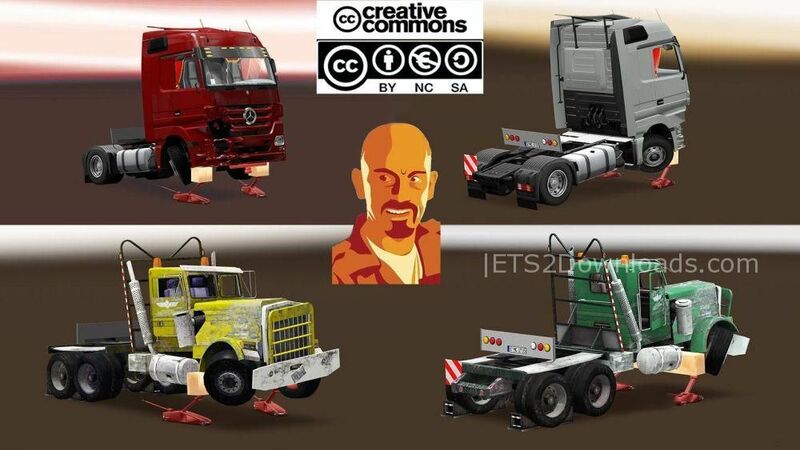 Credits: CyrusTheVirus (Integration, conversion to trailers and upgrades), DragonModz (Broken Man bus), Seagull (Broken Mercedes Actros), Jazzycat (Broken American Truck).